When Federal Reserve Chairman Jerome Powell spoke this week, he reassured investors by saying he believes we’re nearing a neutral state for the economy. But how does the Fed know we're getting closer to a monetary Goldilocks zone? To answer this question, economists focus on the real interest rate. The real rate can compel investors to take more risks or flee from the markets altogether. It can sap your savings account without ever stealing a dime. It’s in the crosshairs of every central bank around the world. Given its profound effect on so many aspects of the global financial system, the real interest rate is a finance term you want to know like the back of your hand. A mortgage has an interest rate, along with credit cards, savings accounts, bond holdings and more. And if you’ve been paying attention for the past couple years, you’ve probably noticed the rates on just about all of those are going up (unless, of course, they are fixed-rate loans). However, despite the tangible rise in interest rates, the real interest rate has remained close to zero or negative for years. How can this be? A nominal interest rate is what you pay on your mortgage or earn in your savings account. It’s a rate that’s set by banks or other lending firms, and most take their guidance from the Federal Reserve, which, as part of its overall mandate, sets the so-called federal funds rate. This is the rate that banks charge to borrow from each other overnight, and it serves as a benchmark that most other rates are set from. When the federal funds rate goes up, expect to see a proportional rate increase in other variable rate consumer loans. However, nominal interest rates alone do not account for inflation, which is simply the increase in prices of goods and services. When inflation is on the rise, every dollar in your wallet can purchase a little less. And, as you can see in the equation, inflation directly affects the real interest rate. To illustrate how the real interest rate affects investor behavior, let’s look at two very simple scenarios. 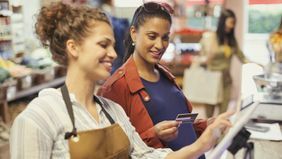 Let’s say you have a risk-free savings account that is earning 2 percent annually, but the inflation rate is 3 percent. In this scenario, the real interest rate is negative 1 percent. That means your purchasing power will decrease by 1 percent every year that passes if circumstances remain unchanged. As a result, you might want to move money into riskier assets, such as stocks, to generate a rate of return that beats the inflation rate. In other words, a low or negative real interest rate encourages risk-taking in the economy. Now, let’s say your savings account earns 3 percent annually and inflation is at 0 percent. The real interest rate is then 3 percent, which means your purchasing power is rising without taking any risk. In this scenario, it may not be all that compelling to invest in riskier assets. Your purchasing power is growing without doing a thing. In effect, you’re being encouraged to remain conservative. The same thing works for borrowing money. 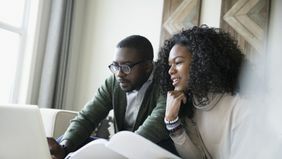 When real rates are very low or negative, it’s a good time to take a little risk and borrow money; when real rates are higher it becomes costlier to borrow and you might play it safe and pass on taking out a loan. Here’s why the real interest rate is so important: It’s basically the North Star of the Federal Reserve’s monetary policy. After the financial crisis more than a decade ago, the Fed dropped its funds rate to zero. The idea was that companies would borrow more money at rock-bottom interest rates and investors would pour more cash into the markets because risk-free investments didn’t offer compelling returns. By keeping rates low, the Fed was “accommodating” riskier behavior. Sure enough, companies borrowed billions, and investors bought stocks and other investments in the decade that followed. But in the past few years, the economy has regained its strength, and inflation has ticked up modestly. In turn, the Fed has periodically been raising the funds rate to keep pace. That means the returns on risk-free investments are creeping upward too, making them more lucrative to own. If the Fed continues raising its key rate too quickly, it may become “restrictive” and make it too difficult to borrow or not compelling enough to invest in riskier assets. “Right now, the Fed is not looking to make policy restrictive per se, they’re just trying to get us back to a neutral rate,” says Brent Schutte, chief investment strategist at Northwestern Mutual. The big task for the Fed is finding that sweet spot between being too accommodative or restrictive. The Fed wants to hit a point where the real interest rate isn’t influencing economic growth or investor behavior one way or the other. If we can hit a neutral state, the economy will continue to grow at its historical average while inflation will remain under control. In the past, a neutral state meant real interest rates of about 3 to 6 percent. Currently, the real interest rate is still hovering around 0. The big question for the Fed is whether a real interest rate of 0 is the new normal (some argue it is), or if it will need to continue hikes until real rates reach a more historical average. In the months and years to come, the Fed will essentially be feeling its way through a dark room as it attempts to find a yet-to-be-determined sweet spot for rates. 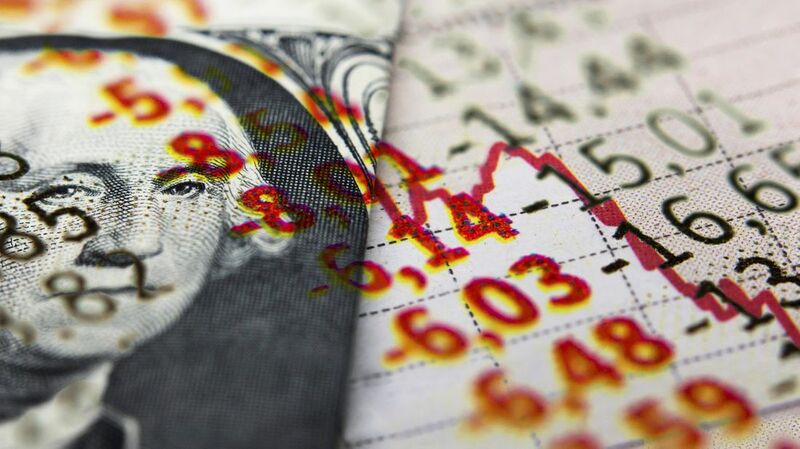 While the Fed will proceed with caution as it attempts to find that neutral state, the markets could remain quite volatile in the search for balance. Still, given what he’s seeing with inflation and the Fed’s policy positioning, Schutte thinks the wider economy remains on a growth track. “Given the current state, it looks like there is still room for economic expansion and we continue to believe the Fed will act with utmost caution so as not to interfere with growth,” says Schutte. 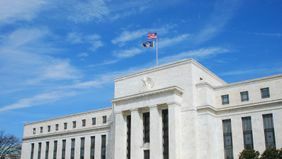 While we continue the drift toward neutrality, it’s a good bet the real interest rate will remain a central focus of the Fed, as well as the financial press.